No matter how fine we think we are or think we look, we are decrepit—and getting more so every day. These natural bodies are the ruins of sinners. They are dying faster than we care to admit. We are each that lonely city of Lamentations. But we need not lament. Just as we bear the image of death, we who believe also bear the image of life in Christ. If we would but call upon the Lord of Life, we would not need to sit in our shame, groaning under the weight of our affliction. Do you still carry the burden of your sin? Come to Jesus. He has already borne the weight of your sin. See! He has handled a world heavy with sinners. He has delivered you too and would have you find in him rest for your soul. 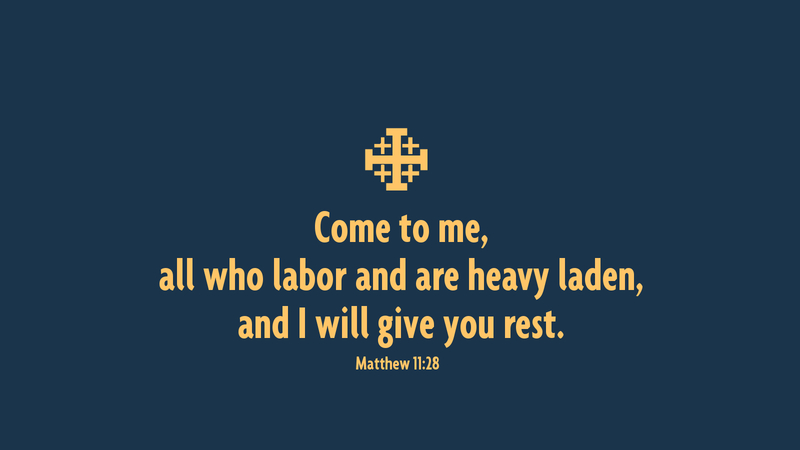 Jesus is a friend of sinners (Matt 11:19) and offers rest to the weary soul. Come to him and find your rest. Prayer: Thank you, Lord Jesus, for giving me peaceful rest. Amen. My father-in-law would often say once he bought something, “well the warranty on this may last longer than my warranty.” Now today, I am saying the same thing. We each have a time stamp in life that is given to us by God. A few of my decisions I have regrets for, but I know that as I continue to serve Him and profess Jesus as my Lord and Savior, my greatest reward is yet to come. Thank You Jesus !!!!!!!! !